Fulfilling the customers’ diverse wishes and requirements, we are engaged in providing a superlative assortment of Manual Earth Block Making Machine. It is extensively applied for industrial purposes. We, as a Manufacturer, Supplier and Exporter, strive to present the peak quality available in the market. We make every effort to keep up the quality we are celebrated for. For making that happen, a team of competent professionals rigorously matches the quality to quality standards set by industry. 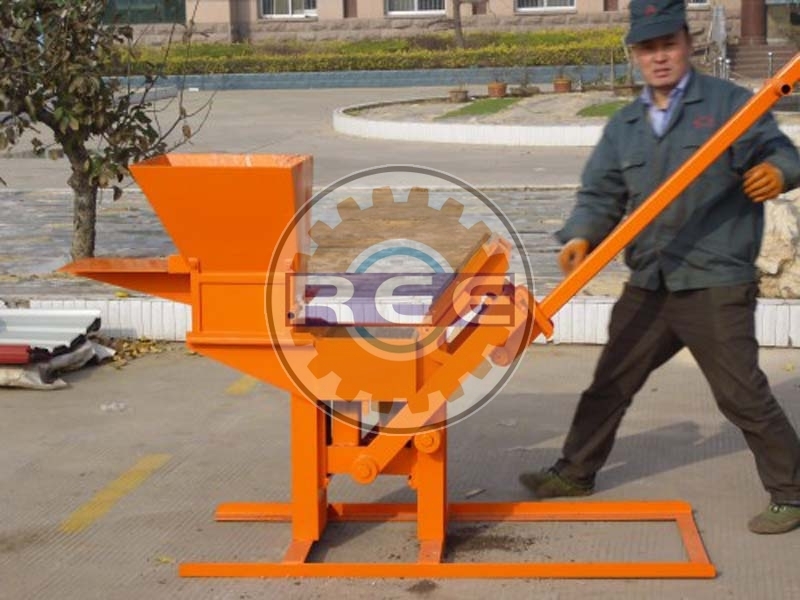 Manual Earth/Clay brick making machine is one new kind of small manual brick making machine, which is cheap and durable, easy to operate and no need power. It is quick in product forming, high in product density and strong in pressing power. After remolding, people can stand on the brick. Consumption of materials can be reduced. This machine uses a mixture of soil and cement to make stabilized bricks at a ratio of between 5 and 10% cement to soil, depending on the soil type available. 4).Bricks are interlocking so there is no need for mortar when building.